What must HU and MEAC do to advance in big-college ball? It was a game everyone wanted. It was a game the students thought they could win. It was a game the coach even asked for. Suffice it to say, be careful what you wish for. This season, the Hampton University Lady Pirates (28-5, 16-0 conference) made their fifth consecutive trip to the NCAA Division I Women's Basketball Tournament. The ladies earned a No. 12 seed out of the 16 in the Stanford region. It was the highest seed ever given to a Mid-Eastern Athletic Conference (MEAC) team. "We're real happy [with a 12 seed]. We're elated," said head coach David Six at the selection show on March 23. "I thought we were a 12, and it's nice to see the NCAA did the right thing." But high expectations hit rock bottom in the first round against the fifth-seeded, 20th ranked Michigan State Spartans. Hampton was sloppy through and through -- an uncharacteristic trait for a team that had been riding an 18-game winning streak and had won 48 consecutive MEAC games. But Michigan State is not from the MEAC; it's from the Big Ten -- and in the Big Ten, preparation and execution wins ball games. "We had about two weeks of rest to prepare for them, so we knew their sets backwards and forwards, their plays and their personnel," said Michigan State forward Annalise Pickrel, who finished with 21 points on a perfect seven-for-seven shooting from the field. The Spartans' flurries of off-ball screens freed up teammates for open threes and uncontested layups. Hampton shot 18 percent from the field in the first half and couldn't recover from a 32-point halftime deficit. Michigan State would win, 91-61. Aerial Powers, MSU's star freshman, finished with 26 points and 18 rebounds, while holding Malia Tate-DeFreitas, Hampton's star freshman, to four points on one-for-15 shooting. The Lady Pirates, who are the standard for MEAC sports, have earned a trip to the NCAA Tournament in each of the past five seasons. Excluding one nail-biter -- a four-point overtime loss to Kentucky in 2011 with arguably Hampton's most loaded roster in school history -- they have never quite stacked up to some of the better teams in other conferences. Hampton's volleyball and softball teams both made the NCAA Tournament last season as well. Like the women's basketball team, they were dismissed in the first round. Things worsen for HBCUs in men's sports. MEAC men's basketball teams have only won three round of 64 games since the conference qualified for an automatic bid into the NCAA Tournament in 1981. The conference has a 5-33 record (.182) in the tournament and an average margin of loss of minus 15. "Excellent, aggressive and motivating" are words that describe the 122nd Hampton University Founder's Day keynote speaker, alumni and Attorney Paul Clinton Harris, said his peer and classmate Dorothy Barnes, a 1986 graduate and Hampton resident. Harris's first moments at Hampton made him feel overawed. "I showed up on campus with a blue pickup truck with red mud splashed all over it," he told the Daily Press of Newport News in 1997. But it didn't take long for the Virginia native to take Hampton University by the horns. In 1986, he finished his undergraduate career with a B.A. in political science, ranked as second lieutenant of the U.S. Army, presided as Student Government Association president and became a member of Alpha Phi Alpha Fraternity Incorporated. Barnes, Harris's PMS Secretary, said, "Paul had great leadership during his whole college career." These leadership skills and the life motto of "Thy will be done" generated a prosperous political career for Harris. After law school at George Washington University where he received his Juris Doctorate, Harris became the first African-American Republican elected to the Virginia legislature and served two terms in the Virginia House of Delegates. In 1998, Harris served on the 19-member Federal Advisory Commission on Electronic Commerce. He resigned his seat in the Virginia legislature to become the Deputy Associate U.S. Attorney General under President George W. Bush. Harris is one of the five senior Justice Department lawyers who wrote the regulations for the Sept. 11, 2001 Victim Compensation Program. Justice Harrison, fellow member of Alpha Phi Alpha Fraternity and sophomore biology major, admires his fraternity brother: "its men like Paul Harris, and men of such influence, is why I am a member of Alpha Phi Alpha and hope to be as great of a man one day. I look forward to his address." 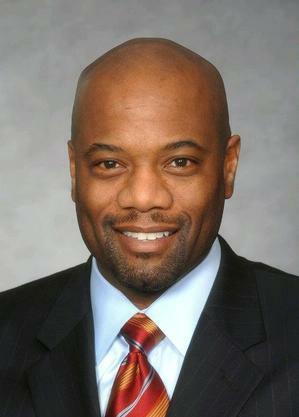 In 2006, Harris received Hampton University's Distinguished 20-year Alumnus Award and he is a newly appointed member of the University's Board of Trustees. Harris now serves as Corporate Counsel at Northrop Grumman Corporation. He is responsible for managing all international legal and regulatory risk management in Australia, Europe, United Arab Emirates, Saudi Arabia, South Korea and Japan. On Sunday, Harris will give the Founders Day address at 11:30 am at Ogden Hall. Founders Day activities will include the commemorative wreath placing ceremony at the gravesite of the University founder, Gen. Samuel Chapman Armstrong, at the Hampton University Cemetery at 9:30. Jerome Barber, pastor of Sixth Mount Zion Baptist Temple, Molly Joseph Ward, Virginia Secretary of Natural Resources, and HU alumna, Dr. Gladys Hope Franklin White will receive 2015 Presidential Citizenship Awards. Rylan A. Harris, a senior English Arts major from Philadelphia, said, "The Hampton Choirs has such a rich history, making the choir just as old as the University itself. The Hampton Choirs sings a variety of spirituals and hymn arrangements that were written by loyal Hamptonians for Hampton University." The Gospel Choir sings spirituals, but with a more contemporary feel. Harris has been serving as Tenor I in the University Choir, Gospel Choir (His Chosen Sounds), and Concert Choir his entire time attending Hampton. Before he became student director for the choir, he said he "had to sign in, pick an audition time, show up, and sing the prepared piece of your choice. I learned very quickly that there was no time for nervousness; just stand up there and give it all you have." Harris became inspired to join the choir when he first heard them senior year in high school. "My fondest Founder's Day choir memory was my freshman year. We sang Moses Hogan's arrangement of 'Joshua Fit the Battle of Jericho,' and boy did we have fun. It must have been over 200 voices on that stage in Ogden, and I still remember the adrenaline rushing." Harris feels that the choir is "a family and that will never change. Being a part of the choirs opened so many doors for me and there's not anything I wouldn't do for Hampton Choirs – not a thing I wouldn't do." Taylor Robinson, a sophomore psychology major from Aurora, Ill., has also participated in choir since freshman year. She said, "I decided to join because music is a big part of my life, and I wanted to get involved with things that I love." Robinson, second soprano, serves as the secretary for His Chosen Sounds Gospel Choir and sang for Founder's Day last year. "It's always a great experience. University Choir and Gospel Choir get to come together to practice and perform," said Robinson. One of the Founder's Day practices began with singing in Ogden Hall. The director motioned the choir to go up the balcony to sing in order to practice projecting their voices to all areas of the auditorium. As soon as they began to sing, the chairs began to vibrate with the tenors' base and the ladies' harmonies all in sync. Deanna G. Walker, a senior five-year MBA from Richmond, Va., celebrates her birthday on Founder's Day. When she wakes up to go perform she appreciates the importance of Founder's Day, even though she would prefer not to wake up early on her birthday. Walker manages to balance her social life with choir by making a schedule of choir practice, which is always the same time unless it's Founder's Day or some other enormous event. "We practice twice a week," said Walker, "and practice more since it's Founder's Day, especially Saturday." The historical drama "Selma" was released on Jan. 9 to all theaters in the United States. The story of the Rev. Dr. Martin Luther King Jr. and the epic march from Selma to Montgomery, Ala., managed to touch many who watched the film. On Hampton University's campus, viewers gave their perspectives of the film. Peter Savadge, a sophomore history major from Surry, Va., said, "After viewing 'Selma,' as with other cinema portrayals of major historic events, I left the theater with a greater appreciation of these events, their significance today and all parties involved." Phillip Jackson, a journalism major from Maryland, said, "I feel like 'Selma' came out right on time. It came out in a time where we're seeing police brutality nationalized. 'Selma' shows at least one perspective of many different ways African Americans fought for the equal rights we have as people in the past." Jelisa Sinn-Brasswell, a tutor coordinator in the Student Support Service office, was one of the first, said "the film 'Selma' reminds me as a country we still have a lot of growing to do. We're not as perfect as we think we are when it comes to prejudice, discrimination, and the like." For some, the film brings back vivid memories causing them relive moments of their life from that time. Sociology Professor Herbert Townsend said, "I remember watching the march on television. I remember the bombing in Birmingham, Ala. I remember seeing the freedom writers being hosed. You know what it really brought back was the fact that, that America no longer exists, but the America that does exist now, potentially is far more deadly." History Professor and Assistant to the Dean Robert Watson said "Selma" reminded him of when he marched along with his fellow companions in Mississippi. He said they too were suffering from similar injustices. When asked if he felt the film would inspire people to take action towards our own issues, Watson said, "I am not so optimistic of the film inspiring more people to suddenly take action, but I am optimistic enough to believe if the film was used as a resource in the school systems, it will certainly make a difference." On Monday, Jan. 26, the Hampton Citizens Unity Commission will be hosting a free viewing of "Selma," and the evening will conclude with an open mic to hear the response of the community. "Selma," the African-American and female-directed film, was primarily based on the Voting Rights Act of 1965 and the Rev. Dr. Martin Luther King Jr.'s unforgettable mission to secure equality for blacks and all mankind. Since the movie's recent release in local theaters, many viewers, young and wise, have deeply reflected on the true meaning of the right to vote, as they also anticipate celebrating the upcoming holiday. "I finally see the bigger picture," said sophomore class President, Rashad Williams. Williams, of Raleigh, N.C., along with another Hampton University student, Alix Thomas of New Jersey, agreed that their entire perspective of African-American history has changed after watching this award-winning film. Thomas said her unawareness of Selma's history actually "blew her mind." These two young, flourishing minds were both proud and disgusted with the constant fight that their forefathers had to endure to end injustice, especially since the right to vote had already been included in the 15th Amendment. The information that Williams and Thomas came away with from the movie truly opened their eyes. They understand the pain that elders experienced and felt excitement and a desire to continue this legacy. Hampton University History Professor and former Student Nonviolent Coordinating Committee member Robert Watson, speaks with an insightful eye when he stated that "Selma" is a powerful, Golden Globe-worthy "best movie of the year" and more importantly, an excellent film. Watson's journey throughout the movement began shortly after he graduated from high school in 1965 and continued into his college years. As a native of Mississippi, Watson's viewing of the movie brought back numerous memories from his participation in many marches, including those targeted toward voting registration. Watson still participates in political and social activism and is a firm believer in observing the King Holiday. There was picture on Watson's wall that included King and well-known activists, Spike Lee and Jesse Jackson and he explained his admiration and respect for all three. Watson said, "It took blood, sweat and tears to make this a reality and that is why this holiday is so important and truly means a lot to me." Sandra Kaye Locklin of Atlanta, a former educator and grandmother of five, said that the film was positive and pleasant overall. She believed that the entire cast played their roles well and closely captured history. Although this was the case, Locklin said MLK's relationship with the president was much more positive. President Johnson's support of the movement was better than what was depicted in the film. Locklin began to reminisce about her younger days as the movie progressed. She was a high school senior when King started the movement in Selma. Locklin grew up in Monroe, Ga., where African-Americans were subservient to Caucasians in public settings. She explained that this passive approach was not only a part of following the Jim Crow Laws, but any altered or outrageous actions could put lives of African Americans in jeopardy. Her most memorable moment was going to the doctor's office with her mother and siblings. It was mandatory that they to enter through a back door and into a dark and dingy room while patiently waiting to be examined by their physician. "And don't let any one of us be thirsty; we might as well have waited until we got back home," said Locklin. When asked what the MLK holiday means to her, Locklin said, "It means that I need to pause a little while and reflect on not only what we've been through, but how the movement has changed the lives of many people." The writer is a student at the Scripps Howard School of Journalism and Communications. Music is a ubiquitous element on Hampton University's campus. Whether a student is a part of the band, choir, or has personal musical aspirations, many HU scholars are involved with music at this institution. Yahieness Collins is a freshman music recording technology major from Philadelphia. She said that she chose her major because she wants to be a well-known and well-rounded producer. "There is a lot of effort placed into this art," said Collins. "It does require a lot of my time; however, since it is something I love, I don't mind the long hours put into it." Collins was one of two 2014 Hampton Idol winners. Collins said she aspires to be an international hip-hop recording music artist. Her major is designed for students who desire a career in audio engineering, music recording, studio maintenance and more. Ryan McClain is also a music recording technology major. He is a sophomore from San Diego, Ca. who chose this major to learn the basic fundamentals of music producing. McClain plans on being a music producer after graduating from HU. "My aspiration is to better my craft and become so educated that I can teach less fortunate students at an inexpensive price," said McClain. He also wants to open a studio for young producers to practice this art. According to the Hampton University School of Liberal Arts website, music majors and minors must enroll in a major/minor performance class as well as a major ensemble each semester until their performance requirements are satisfied. It is also mandatory that students perform in at least one recital each semester and pass a jury examination in front of the faculty at the end of each semester. The purpose of a jury examination is to collectively assess the musical progress of each student. Among the musical organizations at Hampton University, there are three choirs: the University Choir, the University Concert Choir and the University Gospel Choir. The University Choir performs at major events on campus such as Opening Convocation, Commencement and Founder's Day. The choir also produces at least two major concerts per year. The University Concert Choir is the main touring ensemble for HU and has performed in renowned concert halls and churches around the world such as Carnegie Hall, The Shrine of Immaculate Conception, and St. Patrick's Cathedral. Since the Concert Choir is very selective and membership is limited, students are required to be members of one of the other choirs and have a second audition. Senior broadcast journalism major Terrell Snead is in the University Gospel Choir: His Chosen Sounds. Snead said, "I personally put a lot of effort into Gospel Choir. More than just being an organization, singing is a great part of my life. As a Christian, it's ministry to me, so it deserves all of my time." While he loves singing, Snead of Long Beach, Calif., said he does not have any desire to do it professionally. The University Gospel Choir practices every Tuesday and Thursday from 5:30 p.m. until 7:30 p.m. His Chosen Sounds performs on and off campus, sings at the Memorial Church, and stages at least three major campus productions each year. A survey conducted by the Strategic National Arts Alumni Project shows that 61% of music performance majors currently work as professional artists. According to American School Search, there are approximately 40 music schools and colleges in Va. and about 800 music diplomas are awarded each school year.